All over the world national statistics agencies gather economic data which tell their Governments and other stakeholders how the economies they are trying to manage are actually performing. Although there are internationally agreed statistical methodologies and Ireland’s Central Statistics Office (CSO) applies the prescribed EU standard framework (ESA 2010), this is never an entirely straightforward task. There are particular difficulties associated with producing reliable, timely and accurate data around economic growth and it is not uncommon for Gross Domestic Product (GDP) figures to be inaccurate and to require subsequent revision. For all of that it came as an absolute shock when Ireland’s recently published revised figure for GDP growth in 2015 showed an increase to 26.3 per cent for the year compared to the 7.8 per cent figure announced in March 2016. Gross National Product (GNP) which is similar to GDP but includes net external income was also revised upwards for 2015 from the 5.7 per cent published in March 2016 to a massive 18.7 per cent. Even in the headiest days of the Celtic Tiger Ireland did not experience economic growth of this magnitude and commentators were quick to call the numbers into question. US economist Paul Krugman referred to “leprechaun economics” and in an article headlined ‘Not the full shilling’ The Economist magazine depicted the CSO figures in a graph titled ‘Gross Domestic Blarney’. However, apart from the questionably anti-Irish aspect of some of the criticism (and Ireland has many external critics of its low corporation tax regime for multinationals), none of the commentators, foreign or domestic, could actually argue that the CSO figures were wrong. Indeed more or less all of the economists accepted that the figures were right. The problem was that although the GDP figures were correct, they were misleading. The 2015 ‘spike’ had been generated by the actions of a small number of large multinationals who had effectively added more assets to Ireland’s official balance sheet without necessarily generating any significant matching benefit to the economy. As Ireland has a small very open economy, the actions of a few huge corporations can have a disproportionate effect on the national accounts without impacting the real economy. This fundamental disconnect is reflected in the fact that while GDP in 2015 had (now) grown by 26.3 per cent, growth in employment in the same period had only been 2.6 per cent and consumer spending had increased by only 4.5 per cent. As Cliff Taylor of the Irish Times put it “the growth rate may be a statistical fact, but it is a fiction in terms of reflecting what is really going on”. Economist John FitzGerald called the numbers “unreal”. So the criticism of Ireland’s GDP numbers is not that they are wrong but that they are relatively meaningless. A secondary criticism is that there is a total lack of transparency with the CSO refusing to disclose by name (on grounds of confidentiality) exactly which multi-nationals did what in 2015. What we do know is that some €300 billion of assets were added to the Irish economy in 2015. This included multinationals (perhaps in the face of an international clampdown on tax avoidance) moving assets from relative tax havens to Ireland’s low corporation tax economy. Many of the multinational assets moved were intellectual property (IP) assets such as patents and licences which would have little impact in the day to day Irish economy in terms of jobs or investment. Yet the depreciation on such assets actually boosted Ireland’s recorded GDP. The multinational machinations also included tax inversions where a multinational takes over a smaller Irish company but then incorporates the total enterprise in Ireland. Another impact came from contract manufacturing, where goods which are made for an Irish registered multinational but produced in a different country are included in Irish export statistics and thereby in the calculation of GDP. Such fragmentation of the production chain across different jurisdictions has exaggerated Irish exports in recent years and makes compilation of national accounts more difficult. A further major impact in 2015 was the inclusion of aircraft leasing activities in the national accounts for the first time. Ireland is a global hub for aircraft leasing but again the benefits to the Irish economy are modest in terms of employment and investment. The main benefit to the real economy is the Government’s tax take on profits. All of these factors have distorted Ireland’s GDP figures and are likely to continue to cause a disconnect between economic growth in the national accounts and actual growth and prosperity in the real economy. Apart from the lack of transparency and meaning in the GDP figures, there are other practical, potentially serious problems: Ireland’s headline GDP figure is used for important measures such as the National Debt/GDP ratio, a key factor influencing the scope and cost of Government borrowing. The upward revision of Ireland’s 2015 GDP has, at a stroke, reduced this ratio from 94 per cent to a more relaxed 80 per cent. While this could cause some complacency around debt reduction the real danger is the possible impact on the Government’s fiscal responsibility in keeping the current budget deficit below 3 per cent of GDP. The higher GDP number gives the Government scope to spend or lower taxes perhaps more than may be justified by growth in the real economy. Going the other way, perhaps the most striking aspect of the 2015 GDP revision is the fact that the much higher figure is now the one used by the European Union to calculate Ireland’s EU budget contribution. An additional €280 million is now payable by Ireland into the coffers of the EU and the Government will pay up. Remarkably, Ireland will pay more because the GDP numbers say the country has got much wealthier, even though in the normal meaning of the word, it has not. It is clear that the Government and the CSO now need to overcome the disconnect between headline GDP and measurement of real economic performance. John FitzGerald has suggested as a first step reviving the less used Net National Income (NNP) measure which at least overcomes the asset depreciation problem. However, he also recommends a complete expansion of what the CSO produces with, critically, a transparent separation between what is measured in the foreign and the domestic sectors of the economy. There is also a case for re-examining the methodology where by assets are recorded as ‘productive assets’ when in terms of benefit to the Irish economy they are not particularly ‘productive’. Others also point out the need for the CSO to better mediate information into the public domain. There is no doubt that the manner of the announcement made it hard to avoid reputational damage. 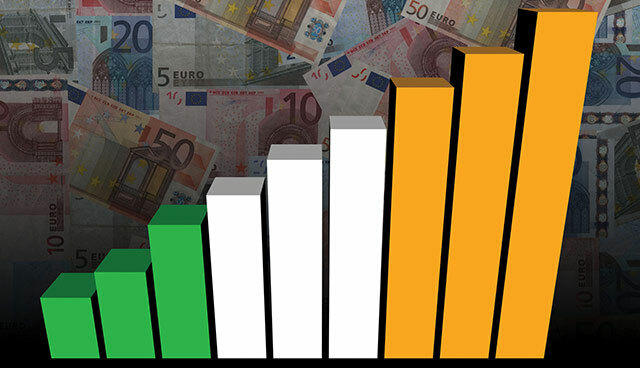 Whatever action the authorities must now take to make Ireland’s economic statistics meaningful, it is worth remembering that in the current climate of economic stagnancy across Europe, the Irish economy is still doing very well. Most economists agree that Ireland’s real underlying economic growth is 5 per cent or better, the highest in the EU. Debt is falling, the budget deficit is reducing, employment is rising, tax revenues are buoyant and the Government has options for increasing public investment. There is indeed a fundamental problem with Ireland’s economic statistics but not so with Ireland’s economy.